It's so smart - only converts stuff that needs converting, and leaves the rest alone—this means it's very fast and maintains the highest possible quality of video and audio. 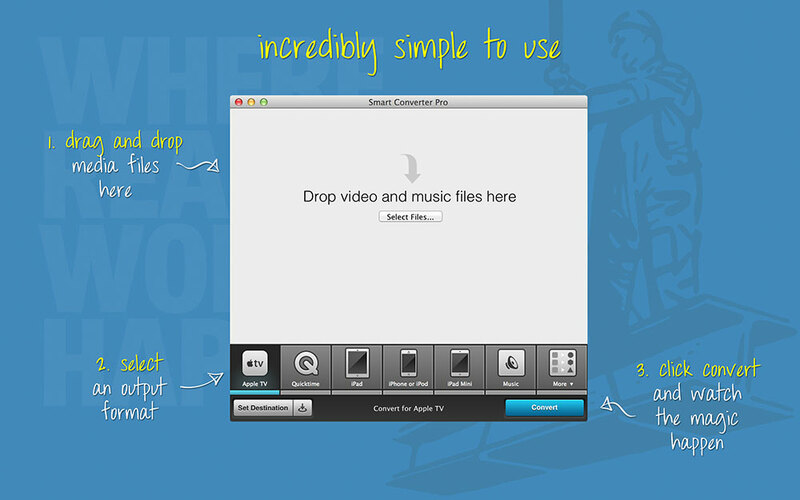 Simple to use - drag, drop and click convert - Smart Converter Pro looks after the rest. 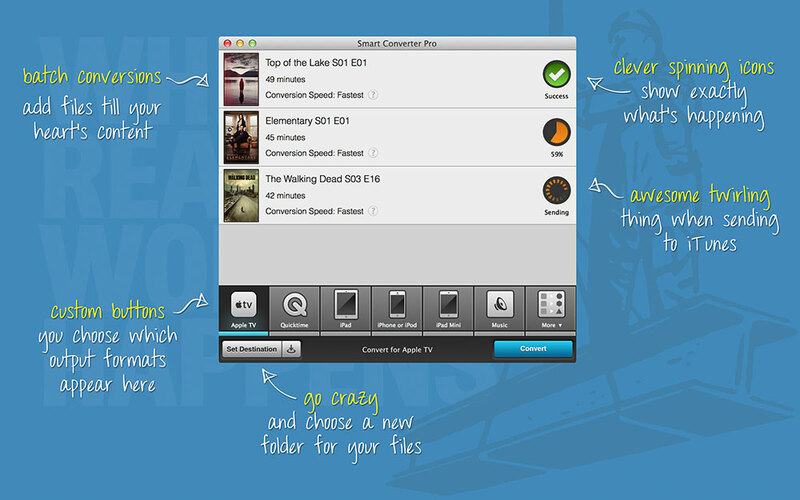 Movie and TV Show info - automatically add key info and artwork for your movies and TV shows. Folder monitoring - automatically convert movies as they are added to nominated folders. Subtitles - include subtitles, add external subtitles and even load subtitles from the web! 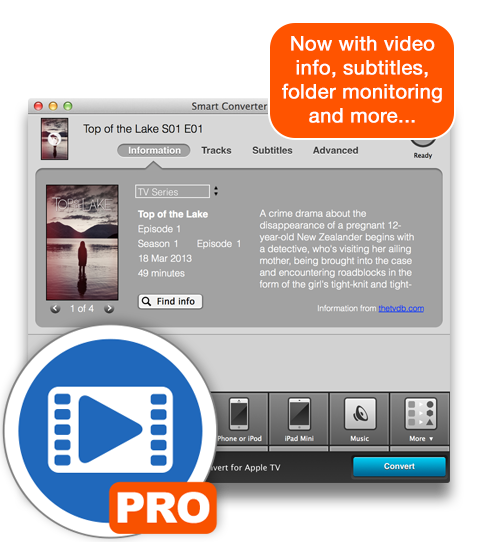 Supports 100's of media formats and converts to all your favourite devices and file types, including AppleTV, iPad, iPhone, Smart TV, PS3 and more. iTunes Savvy - auto import your converted movies and music to iTunes. OS X 10.9 or later. 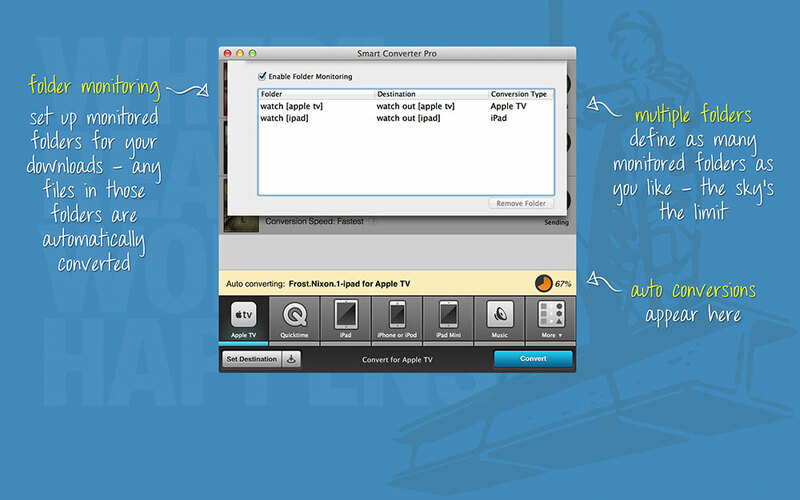 View the Smart Converter Pro User Guide. Find out about the Smart Converter supported file types. Looking for the Windows version of Smart Converter Pro? Click here.